It is a pity that years age Apple explicitly remove the DVD drives from the MacBook Air, there has been little from Microsoft indicating that this was going to be likely. Nowadays a lot of laptops are coming without DVD drives, like the super-thin ultrabooks or Apple’s new MacBook Pro and MacBook Air as I said before. The lack of a DVD drive might prevent you from installing your favourite apps or checking archive discs – even ripping your old CDs and DVDs. Fortunately, where there are questions, there are workarounds. In addition to sharing an optical drive across your home network, you can also simple convert an old removable laptop DVD drive into an external optical drive. What you need are two main components. The one, naturally, is the driv which is the compact “slimline” form factor that has more recently been incorporated into some of the desktop computers that still ship with optical drives. 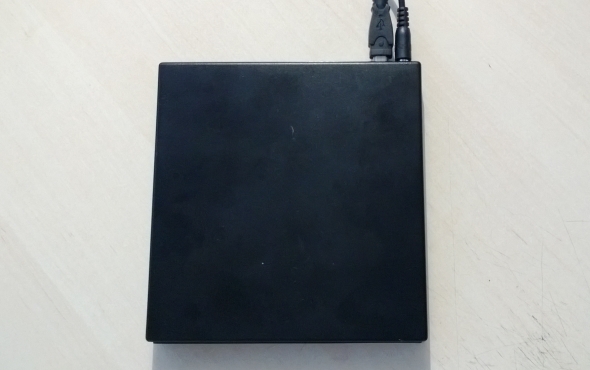 And the other is a external enclosure or housing kit, a relatively cheap device that will house your DVD drive and provide the necessary adaptor and power supply. Now find something suitable on eBay or Amazon (Like this). Below is for an IDE/PATA optical drive, and will of course be useless for a device with a SATA connector. Make sure it is the correct housing you buy with compatible connectors before you re-purpose your slimline drive in this way! To make the conversion, you will also need a suitable screwdriver. You can check exactly which size you need when you receive the housing kit. Note:although this guide is only for removable drives, some fixed DVD drives might also be compatible. Of course you will only know this from stripping down your laptop – something that you shouldn’t do unless your computer has broken beyond repair. Perhaps the easiest step, removal of your DVD drive is usually made possible thanks to a thumb-sized eject lever to the right or left of the DVD tray. Pushing this in enables you to remove the drive (which will be connected to the motherboard on the USB bus, although not with a USB connector) and remove it from the laptop. There are other methods of removing your slimline optical drive. For instance, there is often a locking screw that needs to be removed before the drive can be ejected. Other ejection options might involve several locking screws. Removal of such devices might require a pulling or levering the drive out. There might also be a catch, similar to the one often used to remove a laptop battery, that unlocks the optical drive for removal. For the best preparation, find the technical guide for your laptop to confirm the correct procedure. 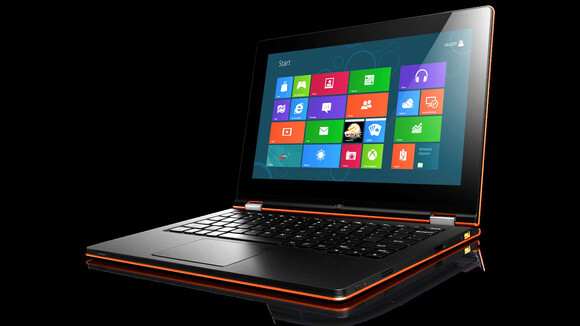 Why do laptop manufacturers enable the removal of DVD drives? It’s mainly so that you can easily add upgrades; for instance, you might want to add a slimline Blu-ray drive to your laptop, or perhaps use the bay to add a larger hard disk drive. Again, as mentioned previously, this guide is focused on explicitly removable optical drives – those with a lock and/or catch as described. Removal of a suitable optical device from within a sealed laptop (one with no facility to eject the device) will depend on the computer and the manufacturer’s specification. As you unpack the disc drive enclosure, you should notice that it comes in three parts. First is the main housing, into which the optical drive will be slipped. There should also be a new draw cover for your slimline drive, and four small screws. Finally, you should see a long thin piece of circuit board, onto which the connectors will be mounted. 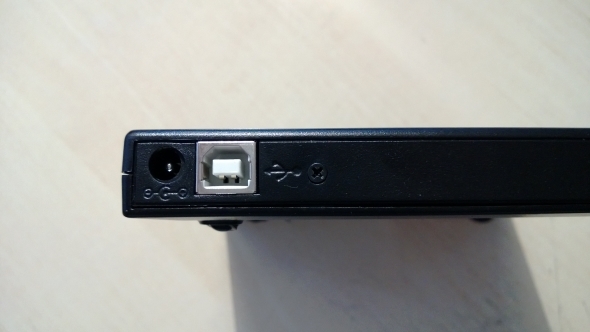 One side of this will have a plug suitable for connecting to the slimline drive; flipping it over you will see two USB connectors. The kit should also ship with two USB cables (one data, one power), both of which will be required. You should start by detaching the draw cover from your optical drive; this can be done by removing the screws found on the underside of the ejected disc drawer. You’ll also need to detach the eject mechanism from the side of the drive. When these have been removed, attach the new drive cover – this will be narrower and designed to work with the housing. Once this is done, plug the connector strip into the back of your optical drive. That’s the hard part out of the way! All you should need to do now is place the optical drive into the lower half of your caddy/housing, keeping an eye on the support pins, then drop the top half into place, snapping it closed as you go. When this is done, fix it together using the screws provided. There are a couple of ways in which you might go wrong here. First, you could slip up by over-tightening the screws, as mentioned above. They need to be firmly tightened, but keep an eye on the case for any signs of distortion or crystallisation of the plastic, and slacken the screws if you see this. You should also repeatedly test the eject button on your optical drive as you adjust the screws, in order to ensure that it doesn’t catch the housing as you insert and remove discs. If everything is attached and opening and closing smoothly, you can get ready to test your new low-cost external optical drive! Now you’re done fitting the housing together, it’s time to connect your external DVD drive to your computer. These devices typically ship with two USB cables, although only one is for data; the second is a power lead. If you can find a suitable adaptor that won’t burn your DVD drive out then by all means use this, but the USB power cable is a reasonable alternative. It does mean, of course, that you will need two spare USB ports on your computer or hub. Once connected, the drive should appear under My Computer, along with all other storage devices. Remember that it is being detected as a USB device, so if it isn’t listed, try restarting your computer. Conclusion: An External DVD Drive for Pennies! It’s always good to be able to retrieve something of use from old hardware, whether it be a stick of memory, an old keyboard or even a storage device. While it is easy enough to fix your slimline optical drive into one of these housings, it’s perhaps a shame that they’re not already designed for easy connection to a desktop computer (or even a different laptop) without the plastic case being fitted. Ultimate, however, this is one of the best cannibalisation projects for owners of old laptops, so when you’re looking online for a new external optical drive, just think about the one sitting in your old notebook, and use it! 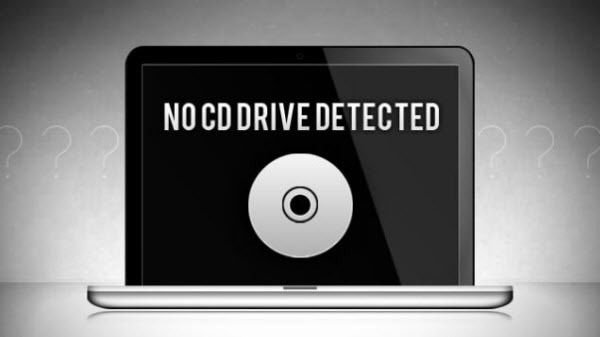 Have you already connected your laptop DVD drive to your PC? Perhaps you’ve discarded all of your optical drives and discs already (after all, there are several alternatives and creating ISO files is much easier now)? Let us know in the comments. Learn more details in this article. Halloween may be all about getting spooked, but what about those of us who like more treats and tricks? What are you planning to do during the Halloween? Besides celebrating this day in tradition ways, do you want get benefit from Halloween and prepare some must-have tools with greatest discount? If you are ready to download 2014 New Horror Movies like Annabelle, Horns, Jessabelle, Extraterrestrial, V/H/S Viral to record some HD videos with your camera or camcoder during Halloween, now it is easy to transform these Halloween videos for playing on your portable devices like iPhone/iPad/iPod, Surface tablets, Galaxy phones, etc. 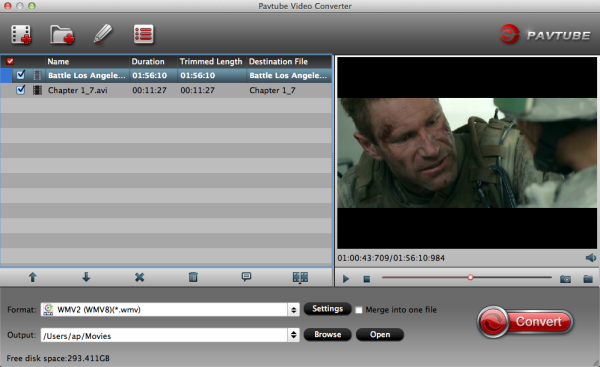 and upload them to YouTube with free Pavtube Video Converter for Mac. Convert Halloween HD movies in any video formats to iPhone 6/6 Plus/5S/5C/5, iPad Air 2/Air, iPad Mini 3/Mini with Retina, Apple TV, iTunes, etc. 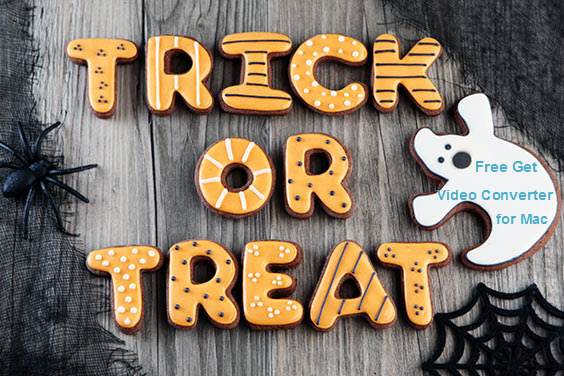 Support converting Halloween HD videos like M2TS, MTS, HD MKV, AVCHD, MOD, TOD etc with original quality. Longing for new scary films and plan to buy some Halloween Blu-rays/DVDs? Now your meat is ready and a good cook is expected, to free get Pavtube Video Converter for Mac to cook your video “meat”, you need to get Pavtube BDMagic for Mac cook your “Blu-ray & DVD” meat at first. They are both qualified converter tools that are experienced in multi-directional video converting. Only with $39.2 now (originally in $35 + $39.2)! Don’t miss! 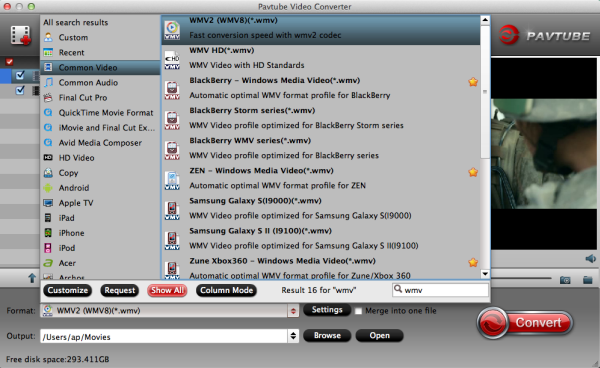 What can Pavtube BDMagic for Mac do for you? Besides the freebie, we also prepared huge discounts on other software for you. Just join Pavtube promotional trip and save big money this holiday season. Grab the Halloween gift here. Just enjoy! 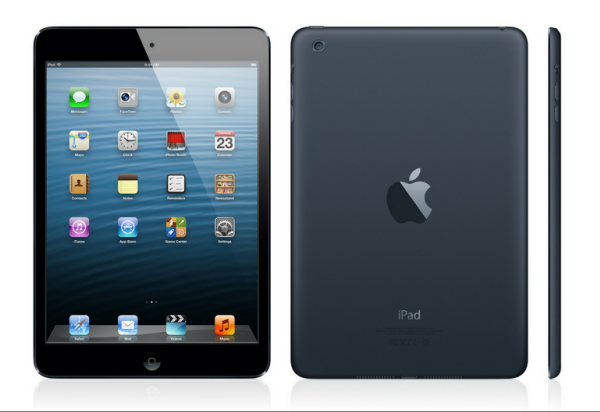 Last year the iPad mini was upgraded, getting a much faster processor and a “retina” screen. This year the upgrades have been minimal. What’s new? A small metal ring around the home button, which now hides the Touch ID fingerprint sensor and a lick of gold paint are the only differences. The iPad Mini 3 with Retina Display kicker? That amazing 7.9″ display carries the same resolution as the larger iPad. That’s right, 2048×1536 pixels amounts to 324ppi pixel density, a record feat on a device that is basically all screen. Then, anyhow iPad Mini 3 will be a solid choice for you to play videos anywhere. Suppose that you may have a lot of Blu-ray discs as your personal collection, like the lateset 3D Mr. Peabody and Sherman Blu-ray disc, but probably not all of them have been watched due to various reasons such as limit in time and location, have you thought of getting these Blu-ray videos onto iPad Mini 3 for watching on the go anywhere? Is it possible? Absolutely Yes! Prospectively, we can make it possible to watch Blu-ray video on iPad Mini 3 by coverting your Blu-ray to iPad Mini 3 compatible format with a Top Blu-ray to iPad Mini 3 Ripper. There are so many converting tools on the market, after searching best blu-ray ripper/converter on google and reading different testing articles, I find Pavtube BDMagic can be taken as a winner which stable/fast. With it, both 3D Blu-ray discs, 2D Blu-ray discs, and standard DVDs can be converted to all popular SD and HD (3D) video formats. Meanwhile this top Blu-ray Ripper also provides the preset formats for almost all hot devices (iPad Air, Surface 2, Galaxy Tab Pro, Iconia tablet, Xperia Z3, Galaxy Tab 4, Xbox One, PS4, Galaxy S5, iPhone 6, iPhone 6 Plus, etc). Step 1. Load 3D Mr. Peabody and Sherman Blu-ray disc. Download, install and launch the Best Blu-ray to iPad Mini2 Converter on your PC. Click the “Load file(s)” button to import your source 3D Mr. Peabody and Sherman Blu-ray movie. Step 2. 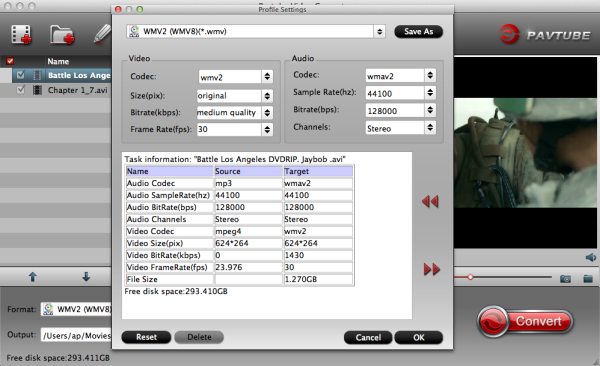 Choose audio track and subtitles for output. On Blu-ray to iPad Mini 3 Ripper main UI, set your wanted subtitles and audio track from the drop-down box of “Subtitles” and “Audio” tab. Step 3. Select iPad Mini 3 suitable profile and adjust profile presets (optional). 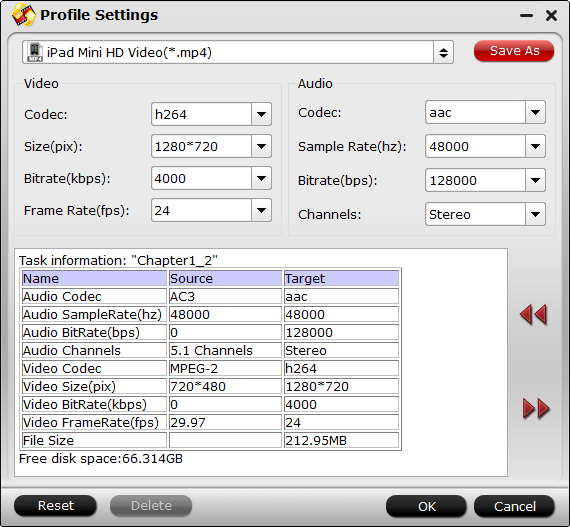 Pavtube BDMagic offers users dozens of profiles under “Format” menu so you would always get an optimized profile for your portable device. In order to convert 3D Mr. Peabody and Sherman Blu-ray to the iPad Mini 3 with 1080p image quality, you are suggested to choose “iPad Mini HD Video(*mp4)” format for output. 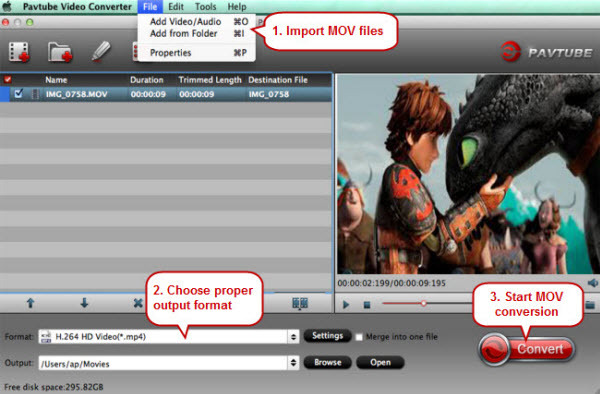 To get output video with 3D effect, just find “Format” menu, choose “MP4 Side-by-Side 3D Video(*.mp4)” from “3D Video” category. But you’d better get a 3D player at first. Step 4. Start ripping 3D Mr. Peabody and Sherman Blu-ray to iPad Mini 3. Now you are ready to hit the “Convert” icon to start ripping. After it completes, click the “Open” button on program interface to locate the created MP4 file, and transfer the converted file to your new iPad Mini 3 with iTunes. To put videos, music and photos to iPad Mini 3, iTunes is a must. You can download iTunes 12 and follow the steps below to put converted movie to iPad Mini 3. If you use manual syncing, you can sync items from more than one iTunes library to your iPad Mini 3. Follow the instructions below to manually sync movies to iPad Mini 3 in iTunes 11. 2. Connect iPad Mini 3 with your Mac using the cable that came with your device. 4. Click the On This Device (your iPad Mini 3 name) button. In this way you can sync 3D Mr. Peabody and Sherman Blu-ray files to iPad Mini 3 as you like. The Pavtube BDMagic supports latest released Blu-ray/DVD movies and rip Blu-ray/DVD or ISO/IFO files to various video formats and codecs (MKV, AVI, MP4, WMV, M2TS, TS, Tivo, VOB, MPG, etc.) for playing, editing, burning, sharing, etc. Tips: For Mac users, please download and try Blu-ray to iPad Mini 3 Ripper for Mac. Apple fans are no longer restricted to playing certain files on iPad 3/iPad 4/iPad Mini/iPad mini 2/iPad Air/iPad Air 2. You can easily convert and enjoy various High-definition video files on large, high-resolution screen iPad equipments with a perfect crisp and vibrant display. Also see the best music player for your iDevices. The new iPhones run on the newest mobile operating system iOS 8 and feature bigger screens [4.7 inches, 1334 x 750 pixels and 5.5-inch, 1920 x 1080 pixels at 401 pixels-per-inch (ppi)], thinner profiles and ultrafast wireless. As an Apple fan, do you want to find hot news, useful tips, unique features, popular apps and almost everything related to the new iPhone 6/6 Plus in order to get familiar with these two devices. Now, great news is that: Pavtube assemble the important information of iPhone 6/6 Plus on a page so that they can find useful stuff easily. On this topic page, Apple fans and newbie of iPhone 6/iPhone 6 Plus would learn more about these two devices, like hot news, useful tips, popular apps, etc. Later users would obtain much fun from iPhone 6 and iPhone 6 Plus and fall in love with them. More importantly, it is possible to transfer movies, watch videos, and share joys on iPhone 6 and iPhone 6 Plus with the help of this Pavtube special page. With fast performance, a great display, an elegant new design and a much-needed software update, it’s one of the best smartphones you can buy right now,” said Anna Qian, brand manager of Pavtube. 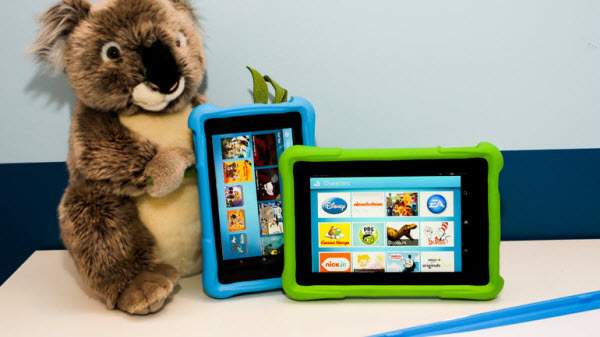 Amazon has launched Kids Editions of a Fire HD 6 and 7, that cost $149 and $189 respectively. A full-featured tablet that includes a beautiful HD display and Dolby Audio that’s perfect for watching movies like Finding Nemo, plus a fast quad-core processor that ensures quick app launch times and smooth games and video. When you got a Kindle Fire HD Kids Edition for your kids, the first thing you are probably connecting is how to put your local content like video, music and photo on computer to this Kids Edition tablet in order to enrich your children’s life. Here a step-by-step guide Kindle Fire HD Kids Edition file transfer via Amazon Cloud or USB is demonstrated to you. You can use the USB cable to transfer Kindle content from a computer to your Kindle Fire HD Kids Edition. Visit How to Manage Your Content and Devices in detail. Under Your Content, select the item that you want to transfer and click the Actions button next to the title. From the pop-up window, click Download & transfer via USB. Be sure you remember which folder you download your content file to. You will transfer your content from this folder to your device. For example, on Kindle Paperwhite, move books to the Documents folder. On Kindle Fire tablets, move books to the Books folder. If you’re using a Windows XP computer, you will need to download Windows Media Player 11, a free application, to complete the USB transfer. To download Windows Media Player 11, go to www.microsoft.com/en-us/download/windows-media-player-details.aspx. If you’re using a Mac computer, you will need to install Android File Transfer, a free application, to complete the USB transfer. To download Android File Transfer, go to www.android.com/filetransfer. Note: Videos transferred to your Kindle Fire will appear in the Photos content library and the Personal Videos app. 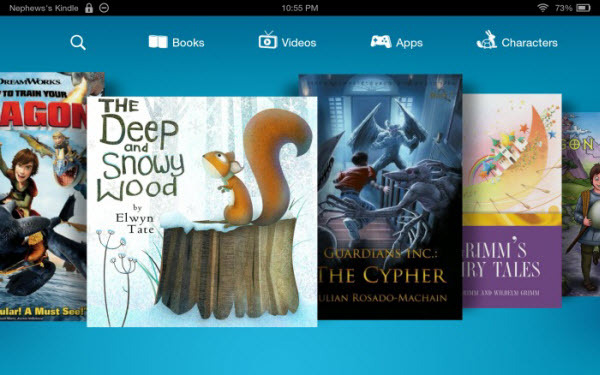 You can also upload content to your Amazon Cloud Drive on your computer, and that content will then be available on your Kindle Kindle Fire HD Kids Edition. Your content libraries — like Books, Music, and Video — include your content available in the Amazon Cloud, and the content you’ve already downloaded to your device. You can choose to access your content through the Cloud while your Kindle Fire is connected via Wi-Fi, or to download your content to your device for easy access even when your device isn’t connected wirelessly. Tap the Cloud tab within your Newsstand, Books, Music, Video, or Apps libraries to access your content stored in the Amazon Cloud. Your Kindle Fire must be connected via Wi-Fi. Subscription content, books, and apps will automatically download to your Device tab once you’ve tapped on the item within the Cloud tab. To download music, tap the Download icon. The item will appear in your Device tab when download is complete. To watch Amazon Instant Video content offline, tap Download to save the video to your Kindle Fire to watch later. While downloading, you’ll see an Options button. Tap this button to Pause or Cancel your download. Once your video has finished downloading, tap Watch Now. In order to play all MKV, AVI, WMV, MP4, VOB, M2TS videos on Kindle Fire HD Kids Edition properly, you can convert videos for Kindle supported format before transferring videos to Fire HD Kids Edition. If you wish to play any Blu-ray and DVDs directly on Kindle Fire HD Kids Edition, it is a good choice to do the Blu-ray/DVD conversion and then sync the videos to your Kindle for playback. According to a newly surfaced report, iPad Air 2, iPad mini 3 To Reportedly Go On Sale On October 24. The new version of the 7.9in iPad is likely to be a minor update rather than a ground-breaking one, with a new processor, spec tweaks, a Touch ID fingerprint sensor and iOS 8. The 7.9-inch display size is likely to stay much like its predecessor as well as its display resolution. The high definition display of iPad, including iPad Mini 3, iPad Mini 2 makes watching DVD movies on these devices a big entertainment even when you are on the trip. A little disappointment is that it can’t play the DVD movies as the limited video formats supported are with the extension of MP4, MOV and M4V. Then how to transfer the DVD movies like french titles & Spartacus Season 1 TV shows, or kids movies like Frozen to iPad Mini 3, iPad Mini 2 to play? 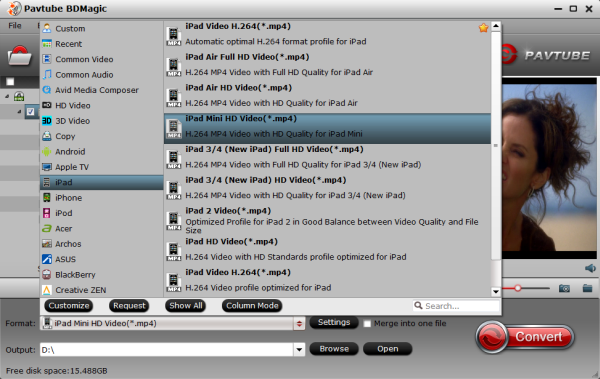 In fact, to get the work done, a professional DVD ripper for iPad is necessary. 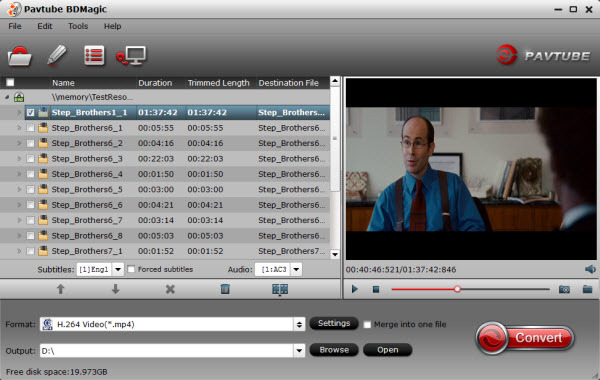 DVD ripping software varies, and you may confuse about choosing a most suitable tool. Was recommended in a couple of forums on internet. I found that winx product was too jittery. Particularly in large panning scenes. At last, I found Pavtube DVDAid which is great and effective program to rip DVD to iPad Mini 3, iPad Mini 2 supported format like MP4 with fast ripping speed and high output video quality. 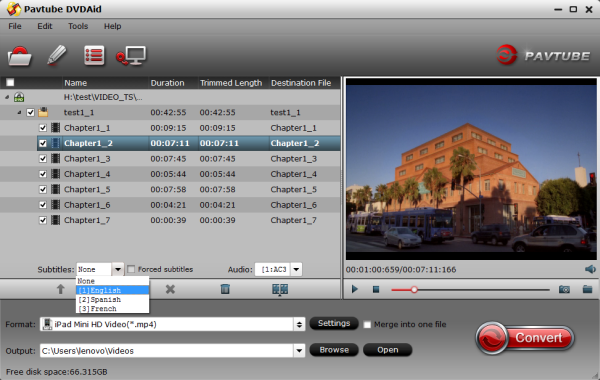 It is easy to use for editing and conversion and makes great quality copies of your DVDs. If you’re not already installed this great utility, download it from this Mac DVD ripper. you get the right version according to your computer operating system. Step 1: Click “Load file” button to import your DVD movies to the nice DVD Converter for iPad Mini 3 and iPad Mini 2. 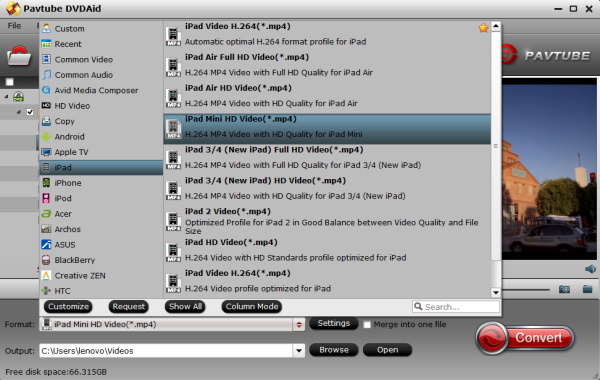 Step 2: Press the “Format” button, and go to “iPad” options to find “iPad Mini HD Video(*.mp4)”. This format is best for playing on iPad Mini 3 and iPad Mini 2 with excellent quality. Step 3: After everything is OK, click the big “Convert” button to start ripping DVDs to iPad Mini 3 and iPad Mini 2 MP4 videos. Once the conversion completes, you can click “Open” to find the converted mp4 videos which can be directly imported to your iPad Mini 3 and iPad Mini 2. You can also get TV shows onto iPad Air/iPad Mini 2 for playback. Read the news what does Apple have in store for the 2014 iPad Air, iPad Mini and Pro line and learn how to get back lost Photos/Videos from iPad camera roll. Samsung Galaxy Note Edge coming with curved edge has attracted many people’s eyes. The new smartphone Galaxy Note Edge features a unique curved display and the Samsung Gear VR virtual-reality headset. Note Edge is definitely a good media player, thanks to 5.6” big HD display screen, 3000 mAh battery, and 32/64GB internal memory and support up to 128 GB of expandable storage. 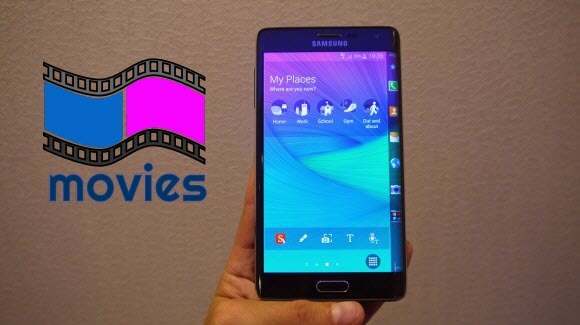 You want to put all your movies to Samsung Galaxy Note Edge for playing? Well, wait a minute and first get a look of Galaxy Note Edge supported playback format. Nonetheless, a question is sure to wrap around Samsung Galaxy Note Edge users – how to play incompatible videos on Note Edge? But you can try to switch your way of thinking: what if I can convert unsupported video to Galaxy Note Edge compatible video format? 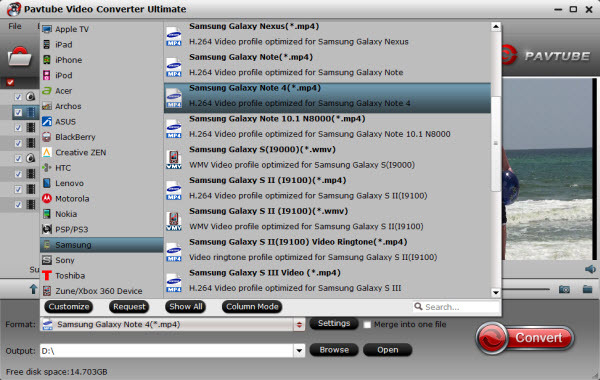 This post will help troubleshoot Movie to Galaxy Note Edge conversion problem by using the best ultimate video converter. At first, Pavtube Video Converter Ultimate is an all-in-one app right for you, the program can help you compress 1080p Blu-ray to Galaxy Note Edge, rip DVD movie to Samsung Galaxy Note Edge tablet and convert HD videos to Galaxy Note Edge, including MKV, AVI, MPG, VOB, TiVo, Flash videos and more, everything can be transferred to Galaxy Note Edge optimized formats at ease. If you are a Mac user, you can use its equivalent Mac version – Mac Video Converter for Galaxy Note Edge to achieve your goal smoothly. Guide: How to transfer all HD Videos and Movies to Samsung Galaxy Note Edge? The quick start guide below uses the Video Converter Ultimate Windows (Windows 8.1 included) screenshots. The way to convert video files to Galaxy Note Edge on Mac is almost the same. Just make sure you get the right version according to your computer operating system. 1. Add media files to the Video Converter for Galaxy Note Edge. Once run the Video Converter for Galaxy Note Edge, you can click “Add Video” to load video files like MTS/M2TS, MKV, VOB, MOV, TOD, TiVo, etc or click on “BD/DVD disc” icon to load movie from DVD and Blu-ray source(Disc, folder, ISO). 2. Click “Format” bar to and select MP4 from the format list (MP4 is highly compatible with Samsung phones). 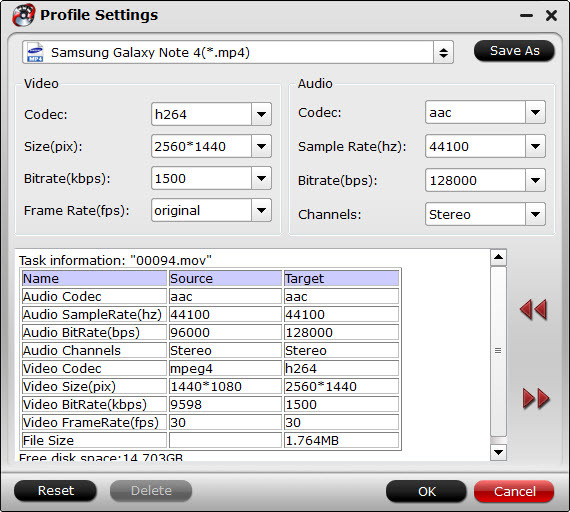 You can easily get the optimized videos for Galaxy Note Edge under “Samsung -> Samsung Galaxy Note 4(*.mp4)”. The output videos could fit on Galaxy Note Edge or Note 4 perfectly. After above steps, just go back to the main interface and click “Convert” button to begin converting DVD, Blu-ray and various formats of 1080p video files to Galaxy Note Edge MP4 videos. When the ripping task is completed, you can click “Open” to find the ripped videos. Bingo! Now just transfer the converted video files to your Galaxy Note Edge and enjoy the movies! If you have no idea about Galaxy Note Edge file transfer, you can check out the post The Ways Transferring Files to Your Galaxy Note 4 to learn more.